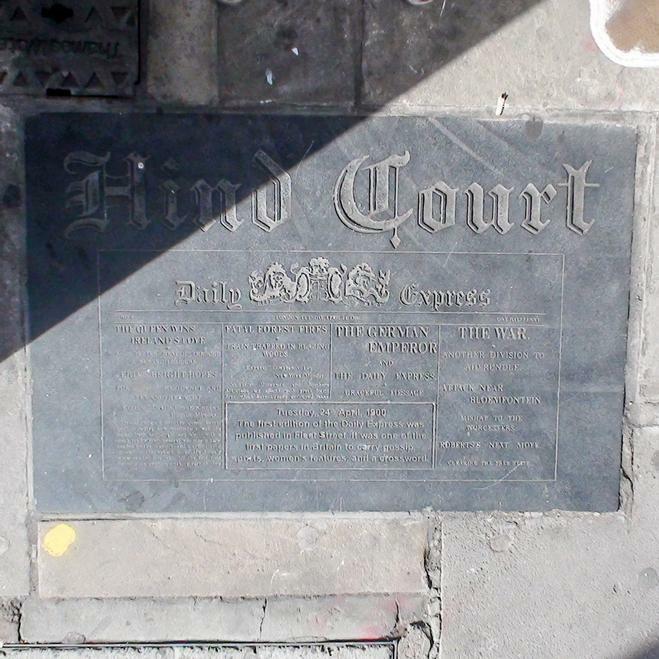 The first edition of the Daily Express was published in Fleet Street. It was one of the first papers in Britain to carry gossip, sports, women's features and a crossword. 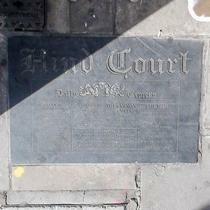 There are 8 Courts running off the north side of this section of Fleet Street and on the ground at the entrance to each Court is a plaque commemorating the printing industry which was previously based here. Rather than put a pin on each site we have recorded all 8 plaques here, listed west to east. The entrances to the courts are very anonymous, as illustrated by the Crane Court entrance shown here. Seems very odd for the chosen illustration to be of a computer game. This plaque is identical to the one at St Nicholas Flats. Winston and Clementine Churchill lived here from 1930 - 1939.